The Sneakers Box - BLAZE OF GLORY x SIZE? BLAZE OF GLORY x SIZE? 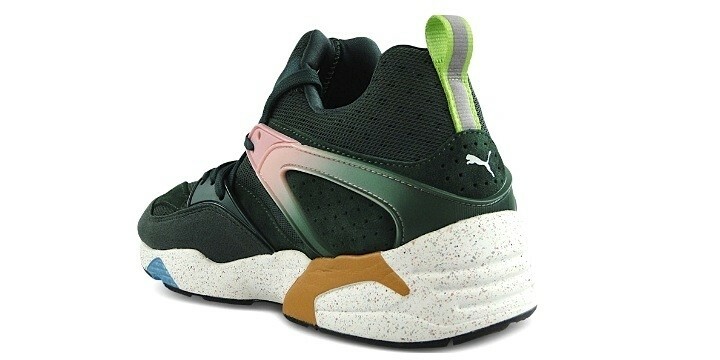 Puma keeps up with International collaborations, and this time joins the English store Size? in creating a special version of the Blaze Of Glory. 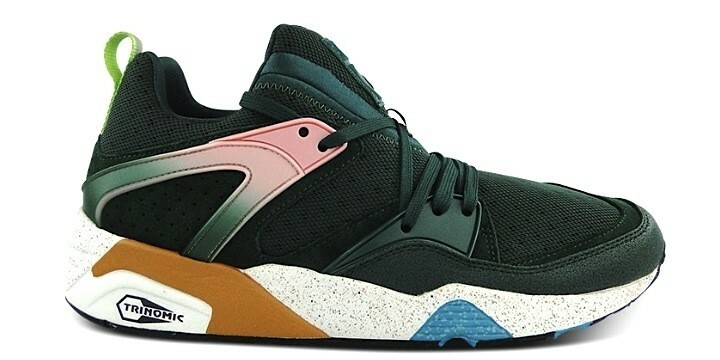 The sneaker belongs to the 'Wilderness Pack' and boasts a colorway which has been renamed 'Jungle', which recalls the light and dark tones of the jungle forest. 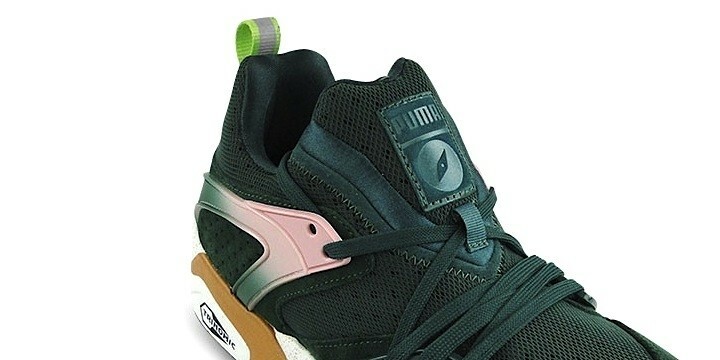 The upper is green with faded pink details, while the white sole features a speckled effect.